Even by the standards of Malabal Tor, something is not right about the growth of the forest in this vicinity. It doesn't seem unhealthy—on the contrary, it seems vigorous, but in an unwholesome way. Selene's Web is a group dungeon found in Reaper's March. 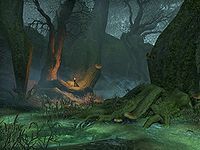 A group of Mages Guild members led by Warlock Carindon are exploring Selene's Web in search of a mysterious forest spirit, and need protection from hostile natives and wildlife. You can learn about its location from Thulga, Empress of Bone in Rawl'kha, Slays-By-Moon in Evermore, or Kailstig the Axe in Riften. Selene's Web Objective: Explore Selene's Web. 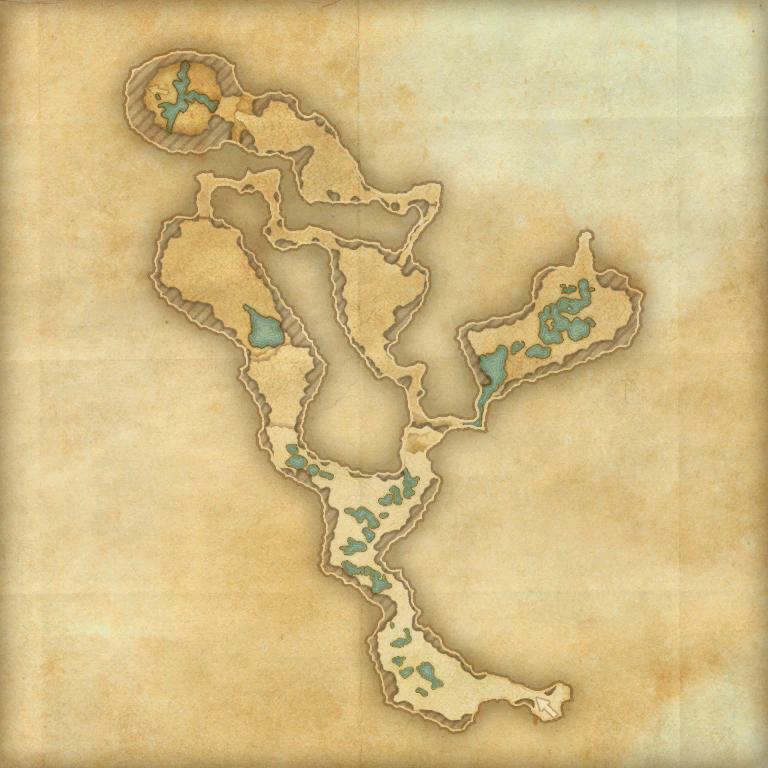 Knowledge Gained: Help guide a Mages Guild expedition through a dangerous forest. Pledge: Selene's Web: Prove you are truly Undaunted by clearing Selene's Web. 5 items: When you cast an ability while under 33% Magicka, you restore 104-9000 Magicka. This effect can occur once every 1 minute. 5 items: Reduce the cost of your Stamina abilities by 4% for you and up to 11 other group members within 28 meters of you. 5 items: When you take damage, you apply Major Defile to the enemy for 4 seconds, reducing their healing received and Health Recovery by 30%. This effect can occur once every 8 seconds per enemy. 2 items: When you deal direct melee damage, you have a 15% chance to call on a primal spirit that mauls the closest enemy in front of you after 1.3 seconds for 139-12000 Physical damage. This effect can occur once every 4 seconds. Selene's Web Vanquisher 10 Defeat Longclaw, Foulhide, and Selene in Selene's Web. Selene's Web Conqueror 10 Complete Veteran Selene's Web by defeating Treethane Kerninn, Longclaw, Queen Aklayah, Foulhide, Mennir Many-Legs, and Selene. All Wrapped Up 50 Defeat Selene in Veteran Selene's Web, after invoking the Scroll of Glorious Battle. Veteran Selene's Bosmer Slayer 10 Defeat 250 of Selene's Bosmer in Veteran Selene's Web. Selene's Web Survivor 50 Defeat Treethane Kerninn, Longclaw, Queen Aklayah, Foulhide, Mennir Many-Legs, and Selene in Veteran Selene's Web, without suffering a group member death. Selene's Web Assassin 50 Defeat Treethane Kerninn, Longclaw, Queen Aklayah, Foulhide, Mennir Many-Legs, and Selene in Veteran Selene's Web within twenty minutes of starting the dungeon. Timer starts when players engage the first group of Bosmer. Selene's Web also appeared in Arena. Before dungeon scaling was introduced in Update 5, Selene's Web was designed for levels 40-43. This page was last modified on 2 March 2019, at 21:12.